President Trump's new deal to extend DACA protections in exchange for border security was swiftly rejected by Democrats and has received mixed reactions from Christian leaders. The proposal outlined by the president at the White House Saturday — just minutes after he held a Naturalization Ceremony in the Oval Office for five new American citizens and their families — includes a three-year extension of former President Obama’s temporary DACA protections for current recipients. DACA extensions would cover 700,000 people who are now 38 years old and younger who were brought to the U.S. illegally when they were teenagers or young children. They would receive Social Security numbers, work permits, and be protected from deportation. Similarly, Trump’s proposal would extend Temporary Protected Status to 300,000 immigrants whose protected status is set to expire. Trump did not relent on his request for $5.7 billion from Congress for a steel slat barrier between portions of the U.S. and Mexico border, emphasizing that it would "not be a 2,000 mile concrete structure from sea to sea." "Much of the border is already protected by natural barriers, such as mountains and water. We already have many miles of barrier including 115 miles that we are building or are under contract," he said. "Our request will add another 230 miles this year in the areas our border agents most urgently need." The plan, which Trump said Senate Majority Leader Mitch McConnell, R-Ky., would take to the Senate for a vote next week, would need 60 votes to pass, meaning Republicans need the support of seven Democrats to pass the measure. Senate Minority Leader Chuck Schumer, D-N.Y., however, has signaled that he’s unwilling to compromise and plans to block the bill, despite having supported border barriers under past administrations. "Offering some protections back in exchange for the wall is not a compromise but more hostage taking," Schumer said in a statement Saturday. As politicians continue to debate issues of border security, earlier this week Border Patrol agents apprehended over 400 illegal immigrants in Yuma, Arizona, who were burrowing under a border fence. Most were from Guatemala, said National Border Patrol Council President Brandon Judd, who was in contact with a Border Patrol agent in Yuma. “It’s the largest [single group] I’ve ever heard of [entering the U.S.],” said Judd, according to Fox News’ affiliate in San Diego, California. Highlighting the dangerous trek economic migrants make in an attempt to enter the U.S. illegally, Trump cited in his speech a 2017 report released by the humanitarian aid organization Doctors Without Borders, which said that more than 30 percent of women are sexually assaulted along the journey. “A temporary fix will only prolong an already untenable situation and kick the can still further down the road,” said Rodriguez, who’s also president of the National Hispanic Christian Leadership Conference. The government’s inability to compromise on a solution for more than three decades, he said, “has led to the current crisis in the first place. “While this offer falls short, we also applaud the president and recognize that it represents progress and forward momentum. We strongly urge the Democratic leadership in Congress to swiftly propose a counteroffer that both secures the futures of America’s Dreamers and secures our southern border at the same time,” Rodriguez added. 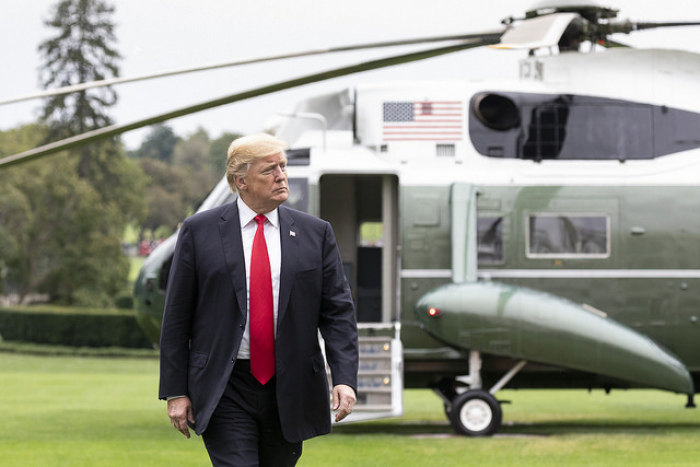 Pastor Jentezen Franklin, the senior pastor of Free Chapel, a multi-campus church with locations nationwide, is supportive of the president’s proposal. The stalemate over border security measures led to the partial government shutdown which is entering its second month. Before the shutdown Trump asked the Office of Management and Budget to make "this event as painless as possible,” according to Wall Street Journal opinion columnist Kimberly Strassel, but 800,000 federal employees as well as government contractors have been affected. Some of those who’ve been demanding stronger border security and deportations of illegal immigrants are Angel Families whose loved ones were murdered by those who were in the U.S. illegally. One group of Angel Moms went to the U.S. Capitol earlier this week and specifically went to House Speaker Nancy Pelosi’s office. Pelosi, a Democrat from California, had already declined to meet with the mothers, but her office offered to let them leave a voicemail, one mother told Fox News last week. Rep. Julian Castro of Texas, who last week launched his campaign as a Democrat candidate for president in 2020, also declined to meet with the parents of Jared Vargas, a college student who was murdered in San Antonio by an illegal immigrant. While Democrats have suggested they won’t vote for Trump’s proposal, some conservative commentators were also opposed to Trump’s plan. “Trump proposes amnesty. We voted for Trump and got Jeb!,” Ann Coulter, who's said she’s a one issue voter — immigration — wrote on Twitter where she added: "100 miles of border wall in exchange for amnestying millions of illegals. So if we grant citizenship to a BILLION foreigners, maybe we can finally get a full border wall." Author and Fox News commentator Michelle Malkin wrote on Twitter, "Fact: The TPS program under Bush and Obama was an amnesty bonanza and public safety/health threat."